Discussion in 'Gambling News' started by Marina, Oct 5, 2018. The long-awaited guidelines for the Sandbox Frameworks for Virtual Financial Assets and Virtual Tokens acceptance and Innovative Technology Arrangements were finally published by the Malta Gaming Authority. In their 22-page long guidelines, Malta Gaming Authority gives detailed information about the recently introduced Sandbox Framework. Earlier this year, the Maltese lawmakers have approved the Sandbox Framework, which is basically the proactive approach toward cryptocurrencies and the technology behind the cryptocurrencies. 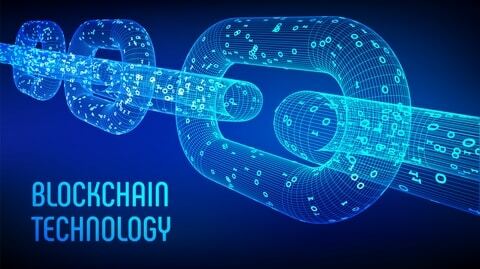 So, during the inaugural edition of the Delta Summit taking place in St.Julian’s in Malta, MGA’s spill the details about this approach whose goal is to make Malta's strategy become a leading virtual currency and blockchain hub. The Delta Summit, a new conference aiming to promote precisely blockchain technology and innovations that can be introduced into financial and gambling sectors, was the perfect place to announce the news about Sandbox Framework. Namely, MGA says in the press release, published on their official website, that the Sandbox Framework will be implemented in two phases. In the first phase, the Malta Gaming Authority will start accepting applications for the use of the Virtual Financial Assets and Virtual Tokens or in other words Distributed Ledger Technology, as a payment method. The second one will be for extending the Sandbox Framework so that it can accept applications for the use of Innovative Technology Arrangements within the technical equipment of Malta Gaming Authority's licensees. The first phase starts on January 1, 2019, so Malta Gaming Authority will have a fresh start of the year, with hopes to succeed in their strategic mission of making the island the forefront of gaming regulation for embracing innovation. The Chief Executive Heathcliff Farrugia explained that their goal is more than achievable because the gaming operator's interest in incorporating DLT and VFAs into their operations is rapidly rising. What Should We Know About the Sandbox Framework? First of all, it should be noted that in the press release, the Malta Gaming Authority says that the Framework has been crafted as a live document, meaning the Framework will be subject to potential and better updates, with the feedback from all interested parties. As a live document, the Framework will run 10 months, all the way through the end of October 2019 with the possibility to be partially or completely extended. The Framework categorizes the DLT assets used by operators. The DLT assets must satisfy the following criteria: financial value, technological value, scalability, market conditions, DLT Asset Economics, explained in detail in the Guidelines. In addition, it explains how the wallet verification and withdrawals will take place, the limits on players’ deposits with 2 scenarios, and the rate of exchange and additional reports. Furthermore, the Guidelines explain the general requirements for the Innovative Technology Arrangements and the hosting of games and game components on DLT and other essential components. Also, it gives step-by-step instructions on how and why smart contracts may be deployed. Finally, and most importantly, in the Anti-Money Laundering and Counter-Terrorist Financing section, the MGA reminds operators about the requirements called for in the Implementing Procedures Part II for the remote gaming sector, issued on 19 July 2018 by the Financial Intelligence Analysis Unit and the MGA. How Can Operators Apply for Approvals for the Use of DLT Assets? The Malta Gaming Authority, in the Concluding Remarks of their statement emphasizes that they will start accepting applications through third party service providers or directly from January 2019. The system for Licensee Relationship Management (LRM) is still being updated by the MGA, but in essence, it would give 3 options to operators. The first option is for new applicants and would allow new operators to apply for approvals for the use of DLT assets as part of the New License Application. The second option will be for existing licensees interested in applying for approval for the use of DLT assets through the application option New or Change in Payment Methods/ Financial Management Information. The third, and so far final, option is also intended for existing licensees which participate in the Sandbox environment and will allow them to report VFA player liabilities by clicking on the Play Funds Report option and/or report failed return transactions, if any, or invalid deposits. After receiving the application, the MGA will consider it and once it issues the Approval for Use of the DLT assets, the licensee will get the dynamic seal that reflects its participation in the sandbox environment. We may soon see more online casinos which accept Bitcoin and other cryptocurrencies.